People start smoking for a variety of different reasons. Some think it looks cool. Others start because their friends smoke. Some just ‘try’ it and then find they are smokers. Statistics show that most tobacco users start before they're 18 years old. Hookahs and electronic cigarettes (or vapes) are no safer than cigarettes. Nicotine in e-cigarettes is heated by a battery, vaporized and inhaled (or vaped), rather than lit with a flame and smoked. Vapes contain cancer-causing chemicals and other toxins, including a compound used in antifreeze. While older generations were not aware that smoking causes cancer, emphysema, heart disease, and dangerous during pregnancy for mother and baby, now this is common knowledge. So why do people start smoking? 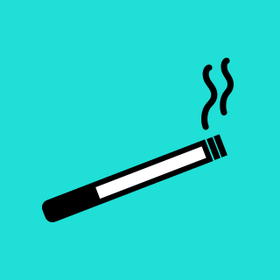 All tobacco contains nicotine, which is highly addictive. Like heroin or other addictive drugs, the body and mind quickly become so used to the nicotine in cigarettes or vapes that a person needs to have it just to feel normal. Anyone who smokes will tell you that smoking is a hard habit to break. Most people who start smoking never expect to become hooked. But nicotine is a highly addictive substance. That's why it's just so much easier to not start smoking at all. smoking is as addictive as heroin.Smoving is a risk to mothers,can cause miscarriage or premature birth.